Teat pipette for 30ml glass bottles. 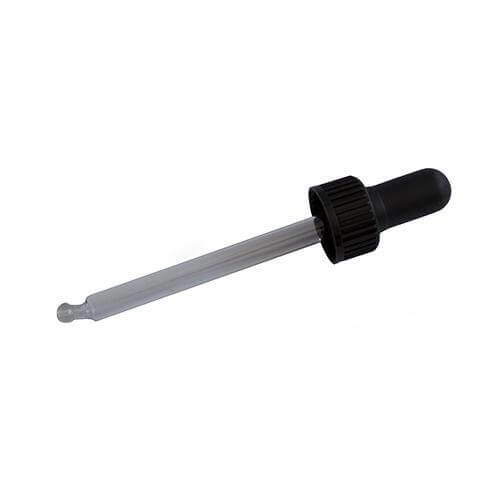 Black cap, butyl bulb & glass pipette 77mm. Suitable for accurate dispensing of oils blends. Home PageProductsBottle & Jar - Caps & SundriesTeat pipette for 30ml glass bottles. Black cap, *butyl bulb & glass pipette 77mm. Suitable for accurate dispensing of oil blends. 77mm length tube suitable for our 30ml glass bottles.